THORTON WILDER’S CLASSIC “OUR TOWN”chronicles life in a small New Hampshire town in the early 20th century. 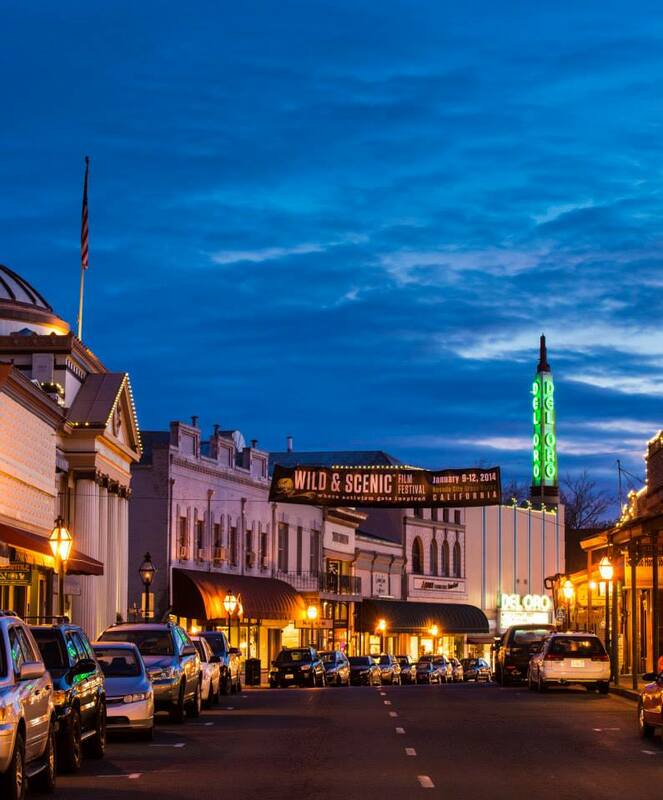 Like the fictional Grover’s Corners in Wilder’s 1938 Pulitzer Prize-winning play, our region’s small towns — Loomis and Lincoln in the valley, Auburn, Grass Valley and Nevada City in the foothills, and Truckee in the High Sierra — all represent a slice of Americana. Steeped in history and with the most famous gold-mining district in California, Grass Valley and Nevada City experienced a “cultural revolution” that has reshaped the local economy and continues to influence the statewide arts scene. Starting in the ’60s, Beat Generation and deep ecology poet Gary Snyder, singer Utah Phillips, and a host of authors and musicians settled here. Now, for more than 50 high-tech companies — including a virtual and augmented reality hub—creativity occurs in peaceful, natural environments far from major urban centers. Between them, Grass Valley and Nevada City are home to the Nevada Theatre, the oldest theater in California, and more than 100 arts-related organizations producing upwards of 1,000 events a year, scores of annual festivals, street fairs, art walks and studio tours, and a large base of artists and makers. 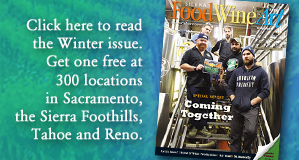 The district is also known for its expanding vineyards, wineries, craft breweries and tasting rooms, and a trail network of outstanding natural beauty. The Nisenan lived in the region for thousands of years as part of a balanced ecosystem, thriving on the Yuba, Bear, and American river watersheds – and, over time, their sacred places are being rediscovered. The Truckee Cultural District, located in the High Sierra, is well-known for its forests, waterways, and spectacular mountain views, attracting visitors and residents alike. The natural setting stimulates an outdoor adventure culture and provides compelling opportunities to interpret, capture, and inspire artistic and cultural creation. In addition to the captivating outdoors, Truckee is a designated Historic District and offers a rich combination of assets that highlight Truckee as the gateway to westward expansion. Numerous historic buildings give Truckee a unique sense of place — including the Old Jail Museum, Donner Memorial State Park and Visitor Center, interpretive trails, the railroad museum, and the Pioneer Monument. Over the years Truckee has attracted and grown a vibrant, entrepreneurial, artistic community. It has created over a dozen art galleries and exhibition spaces, created continuous year-round artistic and cultural events, and inspired numerous public art pieces across town. The City of Lincoln’s history dates back to the Gold Rush era and the arrival of the railroad in 1861. Later the founding of Gladding, McBean & Co. has served as a cornerstone of the community’s economy. Lincoln is now home to unique shops, restaurants and galleries, anchored by the Lincoln Brand Feeds Building. Auburn has grown from a quaint outpost for antiques to a vibrant city bubbling with outdoor enthusiasts and creative types making Auburn happen. A new generation has moved in, and now the remaining antiques stores mix with modern boutiques and award-winning breweries, wineries and restaurants. Despite its small size, the town of Looms — just off Interstate 80 in south Placer County — looms large when it comes to the region’s storied past. In the mid-1800s, the town became a popular settlement for gold miners, thanks to the nuggets in surrounding streams and rivers. Now downtown Loomis is entering a new era: It has completed a multimillion-dollar streetscape project that preserves its past and prepares its downtown for a prosperous future. In a nod to its past, Loomis’ new downtown sidewalks have tiles depicting local historic crate labels (20 different ones have been chosen, including the historic High-Hand Fruit Sheds), creating an historical walk.